The World Cup is on and betting on football is becoming ever more popular. Portugal managed to reach the last-16 stage after a win and two draws in their group, before being eliminated by Uruguay. This journey was only possible thanks to the biggest player in football right now - Cristiano Ronaldo. Football betting sounds very easy – you just bet on who you think will win and then put your money on them, right? Well, there's much more to it than that. Let's look at how to make the most of your money when it comes to football betting. Obviously, it goes without saying that you need to find the place that will give you the best return for your money. Why put a bet on Ronaldo being named man of the match for a return of £50, when that exact same bet could give you a return of £60 elsewhere. A great variety of football odds and betting markets is a necessity. This is especially important when big tournaments like the World Cup are in play, as there will be many online bookmakers that will be vying for your custom, offering their most competitive odds. Make sure you find the best deal for your match. If you want to make a successful bet on your football matches then you need to know all about the football teams and players you are betting for. Look up profiles of players like Ronaldo or any player you are betting for or against. If you want to bet on a Premier League team, make sure you know everything about that team. Find out information including all of the team's strengths and weaknesses, what are they like when they play away as opposed to at home, or what have they been playing like for in their last few games. You cannot bet on a team just because you like it. You can't afford bias if you want to be successful. Check out the age of the players playing in that team compared to the other team, look for players that are new, not hitting form or on top form. When you place your bet, you should know everything about both teams that could even remotely affect the outcome. Unfortunately, winning isn't a given, no matter how great you are. Surprises and shocks happen. Every better out there, no matter how good or experienced, will experience or has experienced a losing streak. This is to be expected and you shouldn't worry. If you do start to worry then you may start chasing your losses. Losing streaks don't cause the problems; it's the chasing of losses that end up in disaster. Betting more and more whilst on a losing streak will just end up avalanching into possible gambling problems. The best thing is to bet less when you are losing and wait for the winning form to return. When you hit your winning streak maybe bet a bit more… don't go mad though because you might start losing again. Only bet what you can afford. Stick to that and you'll be fine. The only way to really bet and make a profit is by only betting on value bets. This means that the odds that you are getting reflect the outcome or are even better. 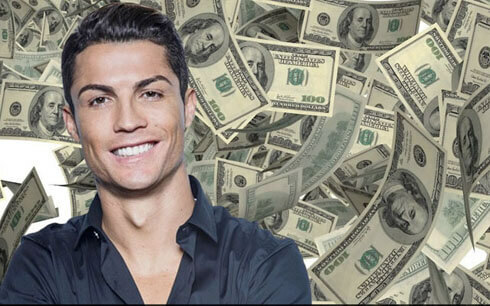 Say, for example, you think that Real Madrid have a 75% chance of winning a match – theoretically the odds should be 1/3 – so if a bookmaker is offering odds of 2/3, then this is value bet – as the bookies are saying that Real Madrid's chance is just 60%. Therefore you should take up this bet. Be aware that there won't be masses of value bets, so you need to be selective on your bets, which requires patience. Another way of getting a value bet is often by betting against a hugely popular team. Real Madrid, for example, has a massive following, therefore bookmakers expect many people to bet for that team. This often means that the odds are skewed as the bookmakers want to make money. As a result, going against popular opinion can mean that you bet on an underdog that has been given better odds than it deserves - another value bet. Football betting can be fun, so have fun. 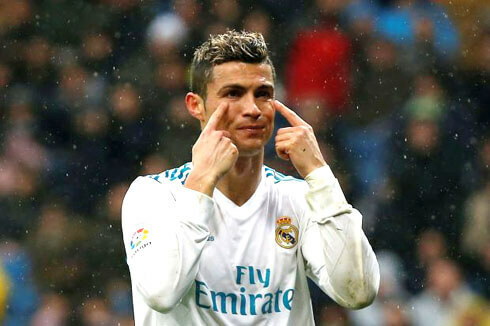 However, if you want to have fun and make a profit, get yourself a strategy and be as disciplined as professional footballer like Ronaldo certainly is when doing his job. Cristiano Ronaldo next game for Real Madrid is on July 31 of 2018 against Manchester United. 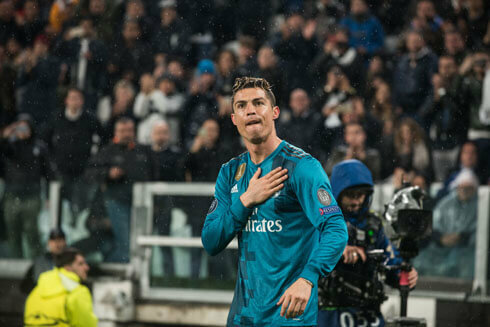 You can watch Juventus live stream, Manchester United vs Real Madrid, Tranmere Rovers vs Liverpool, Croatia vs England, France vs Belgium, and Bayern Munich vs PSG, all matches provided from our live soccer game pages.